I'm pleased to welcome to the Inkpot Morgan Keyes, whose debut mid-grade fantasy, Darkbeast, is in stores now! 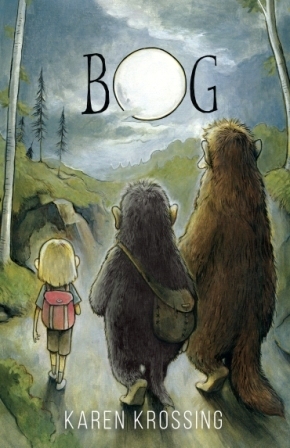 The premise of this novel - that every child has an animal companion he or she must kill before reaching adulthood - fascinated me as soon as I heard about it, so I leapt at the opportunity to ask Morgan some questions. 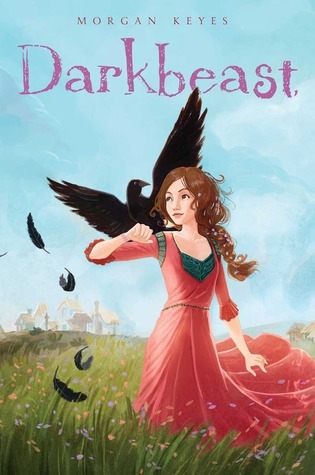 And best of all, there is a giveaway for a free copy of Darkbeast - just comment to enter! 1. In your novel, every child has a darkbeast who takes his or her negative emotions – and who the child then kills before reaching adulthood. As a mother of three, I have to admit I can’t imagine a child without strongly-expressed negative emotions! How are the children in your book different from children we know, and how does that affect the world they live in? In many ways, Keara is a typical twelve-year-old girl. She has strong feelings about the world she lives in, about all the injustice she witnesses (both not being allowed to eat all the sweets she wants and being required to sacrifice her darkbeast.) She is on the cusp of assuming responsibility for her actions, for the day-to-day choices that she makes, even when they affect others in the world around her. At the same time, Keara is different from many of the children in my real-world life. She lives in poverty, constantly on the edge of going without necessary food and clothes. In fact, her mother has hidden her from the Primate's tax collector for the past year, because the family cannot pay her annual head tax. As a result, Keara has a deeply-rooted awareness of societal expectation – she knows that every one of her choices will have an impact on her family, her darkbeast, and her village – on all the people she truly loves. 2. Your main character’s darkbeast, whom she loves too much to kill, is a raven. Ravens, of course, have a long history in fantasy… was your choice of a raven deliberate? Darkbeast grew out of a short story that was originally written for an anthology where all the stories involved children and animals. Alas, when I spoke with the editor for that anthology, my first-choice animal (a griffin) was already taken. Ultimately, though, I'm thrilled to have chosen a raven. Caw has the wit and wisdom of many of his brethren. He's a combination of pride and humility, guiding Keara even as he is bound to follow her. Of course, Caw might be the hungriest of all ravens in literature; I very much enjoyed layering in that aspect of his personality. 3. The idea of an animal companion who forms a part of a person’s soul will, I suspect, inevitably draw comparisons to The Golden Compass by Philip Pullman. Did Pullman’s book have any influence on your work? How do you feel about those comparisons? Of course, I've read Pullman's His Dark Materials, and I loved Lyra and Pan and all the other human/daemon pairs in that series. As I wrote Darkbeast, though, it never occurred to me that I was writing a story that some readers would compare so directly. Pullman's daemons are meant to complete their human companions, providing a solidity and balance for life. That "completeness" is represented by the animals' physical beauty and by the gender opposition of animals and humans. Daemons are a physical expression of a spiritual soul. My darkbeasts, on the other hand, are despised creatures who represent their hosts' most negative impulses. Humans cannot wait to be freed from their bond, released from the constant reminder of their weaknesses and their failings. Darkbeasts have far more in common with the Biblical notions of "scapegoat" than of "soul." Pullman's novels are magical; when I first read them, I was fully drawn into his words. I can only hope that the readers of Darkbeast experience the same sort of awakening to a world that might have been, some other place, some other time. 4. Your main character joins a group of traveling performers… and I know that you used to work as a stage manager. Did any real-life acting escapades make it into the book? I feel fortunate that none of my theatrical productions was ever shut down by the authorities. And I never needed to flee town because people disliked my shows. But I folded my real-world theater experience into the sense of wonder that Keara feels when she watches the Travelers perform. She sees theatrical tricks (a fire that burns bright but does not consume the stage, a whisper that can be heard at the far end of a village green), and she allows herself to be carried away on the tide of excitement from those productions. Keara's enchantment survives the moment when she learns some of the hard truths of theater – there are costumes to be repaired, sets to be built, blocking to be memorized and changed and memorized again… When I stage managed plays, I always hoped that the audiences would leave the theater somewhat transformed. I wanted them to think about what they had seen, about what the play meant, about how it was performed. And I think that Keara wants all those same things. 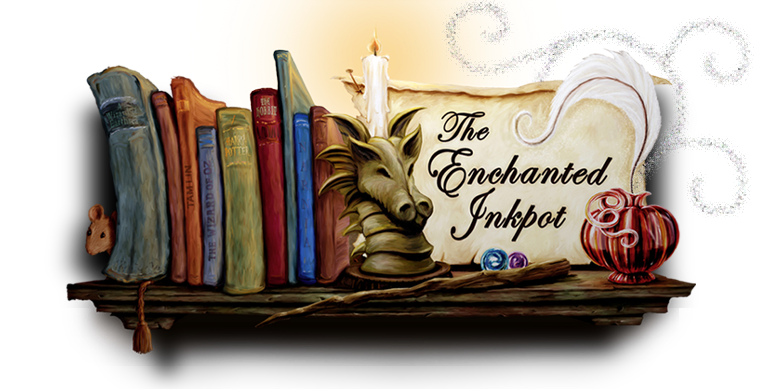 Many thanks to Leah and the Enchanted Inkpot, for allowing me to visit and tell you about my Darkbeast. Due to the generosity of my publisher, Simon & Schuster, I will give away a copy of Darkbeast to one commenter chosen at random from all the comments made to this post by 11:59 p.m. EDT October 31. The idea of having a darkbeast is fascinating. I found your discussion of the different roles ravens have played in literature especially interesting. Thanks for stopping by for this great interview! Wow, this story sounds intriguing! Can't wait to read it. I'm quite amused - the more I read, the more ravens I discover. Some day, I think I'm going to compile a "raven reading list"! I think my daughter and I would enjoy this book. Lovely cover. Thanks! I feel blessed by the cover gods -- I love the artwork too! I love ravens. They're so smart and mysterious. I featured their cousins, crows, in my last novel :-) No need to enter me in the contest, since I have already read and loved the book! Thank you both so much for this interview! I love the concept of the "darkbeast" and will certainly be looking for this book--it sounds terrific! ha! I am also an MG writer who works in theater, and I had to slip a bit of theater-making into my book as well. It's irresistible. 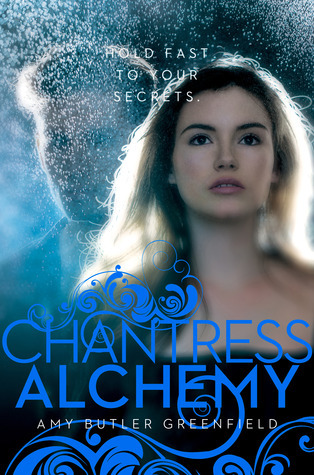 I love that your character clings to her darkness--the book sounds lovely. A friend sent me a great book about crows, to commemorate DARKBEAST's release date. I've looked at the pictures and skimmed some of the text -- and I look forward to reading all of it ... some day soon! I really enjoyed this interview. I loved looking at other ravens in literature -- and the comparison/contrast of the darkbeasts and the daemons from Pullman's His Dark Materials trilogy. Would love to win my own copy of this! What a fun interview. 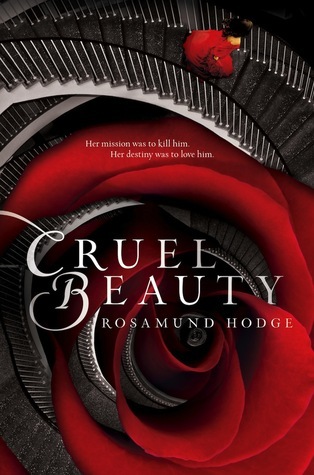 And I love the cover! And Mieke - you have won a free copy of DARKBEAST! 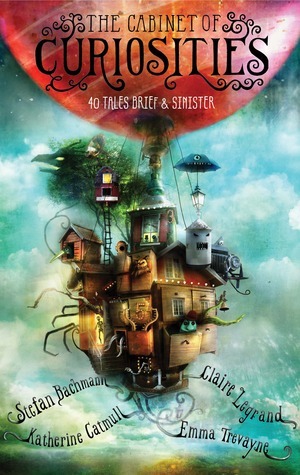 Email me (morgan@morgankeyes.com) with your street address, and I'll have Simon and Schuster send you a copy! Congratulations! Morgan Keyes has created a very believable world filled with memorable sights and sounds and characters, both human and animal. The first person narrative allows us to see everything through Keara's eyes, giving it a greater immediacy.